We’re so lucky in the Lower Mainland to enjoy the mild (if sometimes wet!) climate that we have. 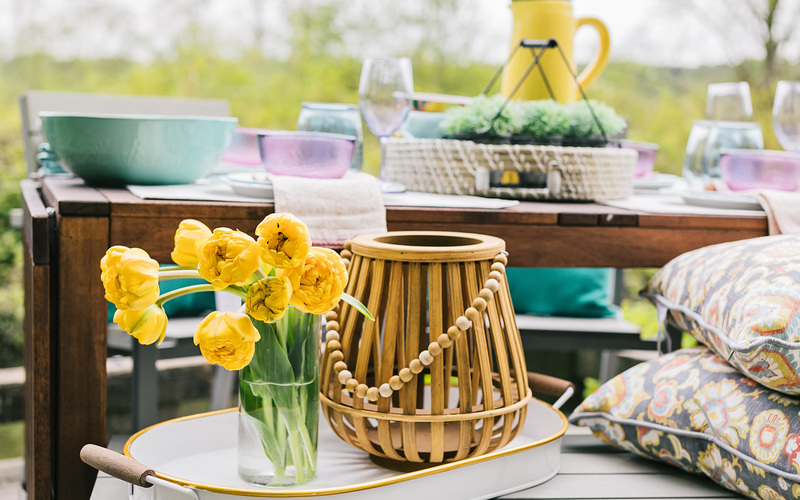 It’s not unheard of to light up the barbecue well into the fall and sometimes winter months, so here are some great tips to get the most of your outdoor space, no matter the season. 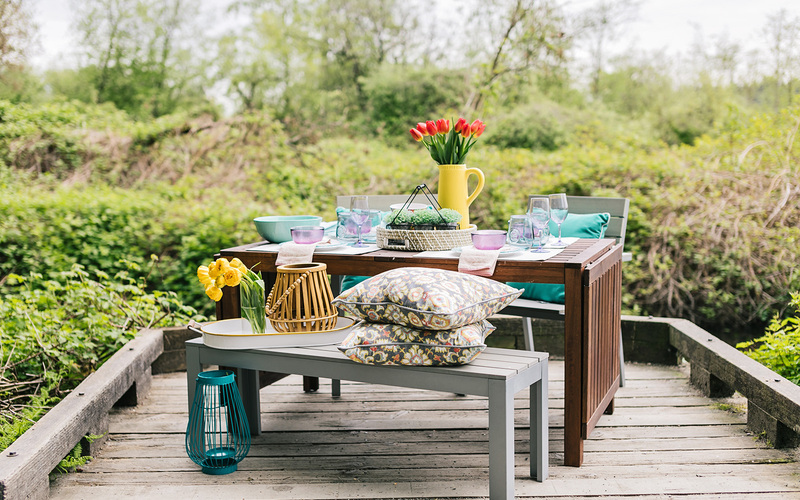 Switching out old cushions and adding a few throws can make a huge impact in your outdoor space. Think bright colours and bold patterns for a festive vibe. When it gets time to change it up again, it’s onto the next one! For extra visual interest, try placing décor pieces like lanterns on benches that might no longer be suitable for seating. You’ll be amazed at how effective it is to use different heights and zones in your space – you don’t have to just stick to the table! Plants – and lots of them! 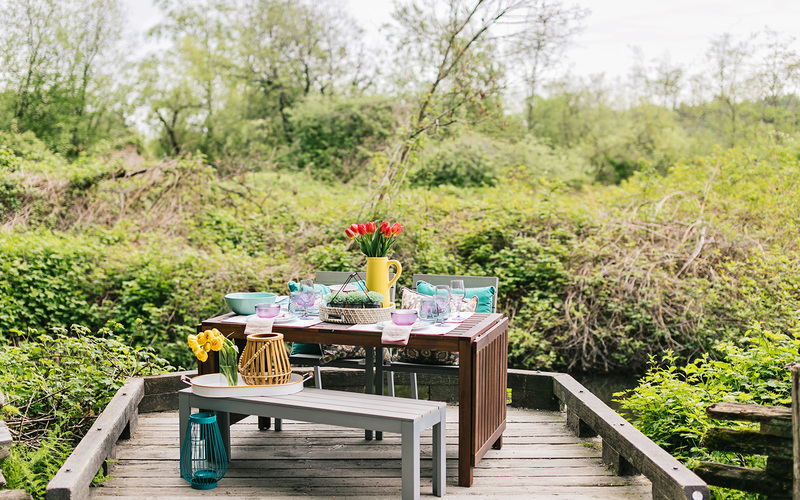 It’s so easy to update tired outdoor areas with lots of fresh flowers and greenery. For those living in apartments, this can help turn your balcony into a lush and relaxing space just perfect for entertaining. Choose containers that work with your style and budget. Re-purposing a cracked bowl or a vintage-looking tomato tin can add charm while upcycling items you have on hand. Investing in an outdoor heater will keep your party going into the fall season. It’s a great way to get the most out of your space. Your guests will want to linger over after dinner coffees, and after the evening is over, they’ll eagerly await the next invitation.